Much like Boba Fett in Return Of The Jedi, Book Of Eli writer Gary Whitta’s jetpack has been whacked by Han Solo, causing it to malfunction and send him flying through the air and right into the mouth of the sarlacc pit. And no, that’s not a metaphor. Wait, yes it is. In less-confusing words, The Hollywood Reporter says that Whitta has dropped out of writing Gareth Edwards’ standalone Star Wars movie. 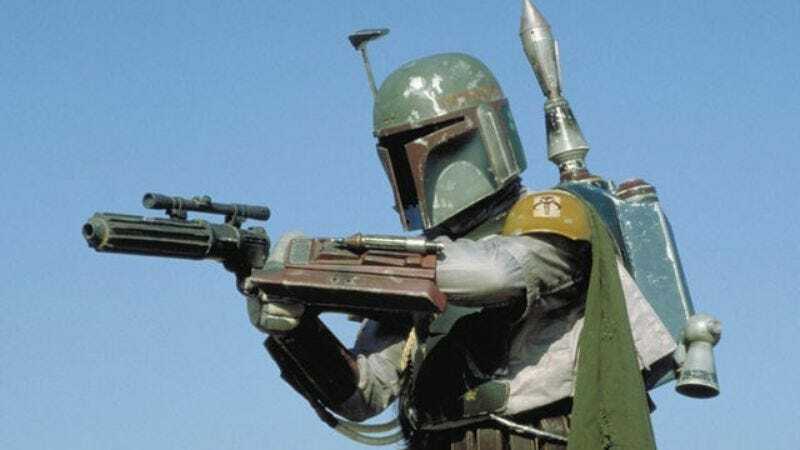 We don’t know why he chose to leave the project—which is probably about Boba Fett, hence that excellent metaphor—but he had apparently completed a first draft of the script. Maybe he just hates revision? Maybe all of his friends call him Gary “One And Done” Whitta? Either way, THR says he’s probably moving on to writing an adaptation of Mark Millar’s Starlight next. Disney will almost certainly have to hire a new writer now to polish up what One And Done Whitta left behind. But, seeing as how we still don’t really know anything about the movie, it’s hard to tell how much of an impact this will have on it. Plus, it’s not supposed to come out until 2016, which will give Disney plenty of time to find somebody else who can write about helmets and jetpacks. Whoever fills his shoes, Whitta is leaving Star Wars on good terms, referring to the experience as “the most rewarding period” of his career.